It was an instant hit, with hundreds of facilities quickly adopting it to streamline their MDS workflow and save time. Those facilities have now grown to nearly 3,000 and, to date, customers have used SimpleMDS to transmit and archive more than 17,000,000 MDS assessments. This makes it the #1 choice of SNFs for managing MDS transmissions and CASPER reports, and has helped us to build the nation’s largest private database of long-term care health assessment data. As the long-term care industry has continued to evolve, SimpleMDS has evolved with it. For example, we’ve added new capabilities to allow SNFs to meet the new PBJ requirements. Customers will be able to manage the submission of PBJ .XML files to CMS, as well as PBJ file tracking and related CMS reporting. 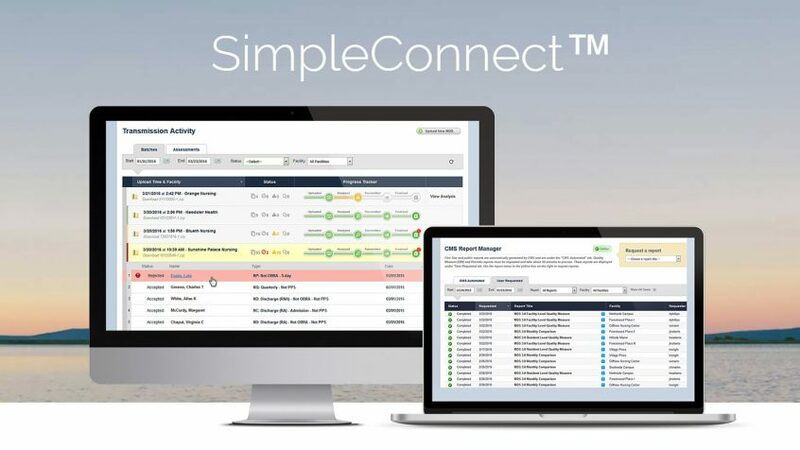 As SimpleLTC continues to evolve in the post-acute care world, the new SimpleConnect name better describes the “connection” functionality that allows customers to connect their data with other healthcare organizations and government agencies. I am the DON at the Caring Place in Franklin Pennsylvania. I would like to set up an account to access and print the Casper report. Hi Shelly — I’ll ask our support team to contact you at the email address you provided. Thanks!